In 1873 two mechanics from Swabia (now Southwestern Germany), Christian Schmidt and Heinrich Stoll purchased a small knitting machine factory in the town of Riedlingen on the Danube. 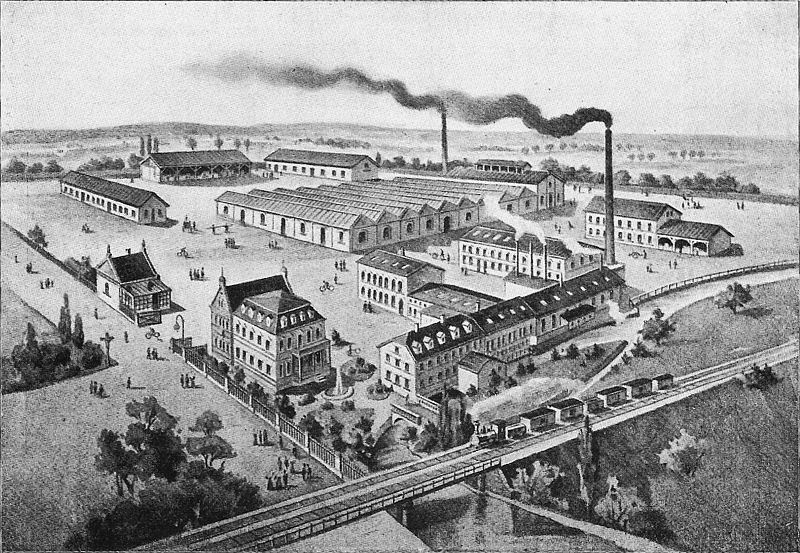 The Mechanische Werkstätte zur Herstellung von Strickmaschinen company achieved moderate success, although Schmidt and Stoll parted ways in 1876. Stoll went on to open his own company two years later in Reutlingen the Strickmaschinenfabrik Heinrich Stoll which continues knitting machine manufacture today as H. Stoll GmbH & Co. KG with subsidiaries worldwide. Schmidt continued operations in Riedlingen until cramped conditions and inadequate water flow in the Danube Canal which powered his mills forced him to search out a better location. 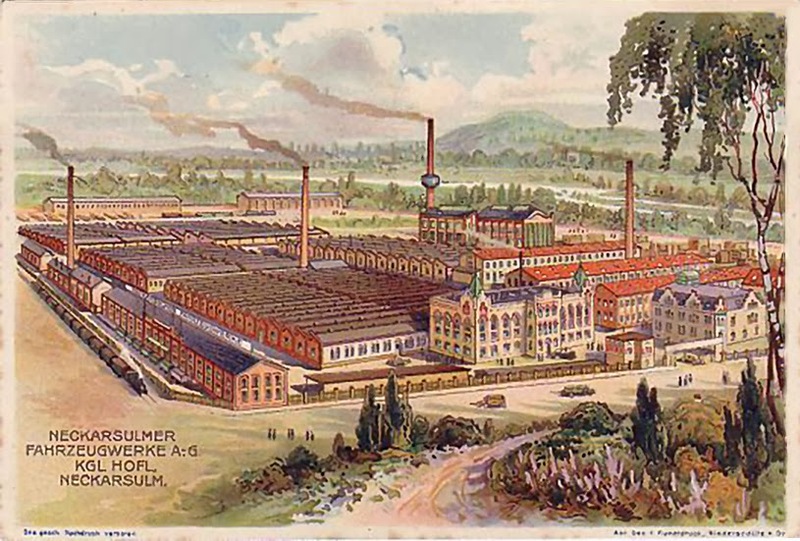 In April 1880 he bought the Brunner’s Säg and plaster mill in Neckarsulm, a small city on the confluence of the rivers Neckar and Sulm in northern Baden-Württemberg. The new company was renamed as the “Naeh- und Strick Union” (Sewing and Knitting Union) and went into production with seven workers and two managers, although they were soon joined by the textiles producer Simon Diemer and expanded to a production workforce of 50 women. A year later Neckarsulm Knitting machines was awarded a prize at an exhibition in Stuttgart. 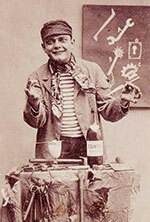 Christian Schmidt died from liver disease at the age of 39, on 24 February 1884. 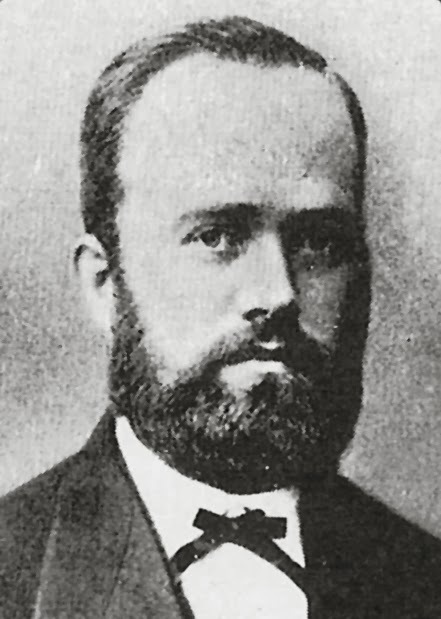 Christian’s brother, Gottlob Banzhaf had been involved with the company since 1879, and took over as director of the now public limited company. Prompted by an increase of the Austrian import duties in 1885 Banzhaf diversified into the production of “safety” bicycles, the forerunners of modern bicycle designs which were rapidly gaining popularity over the older “penny-farthing” types. 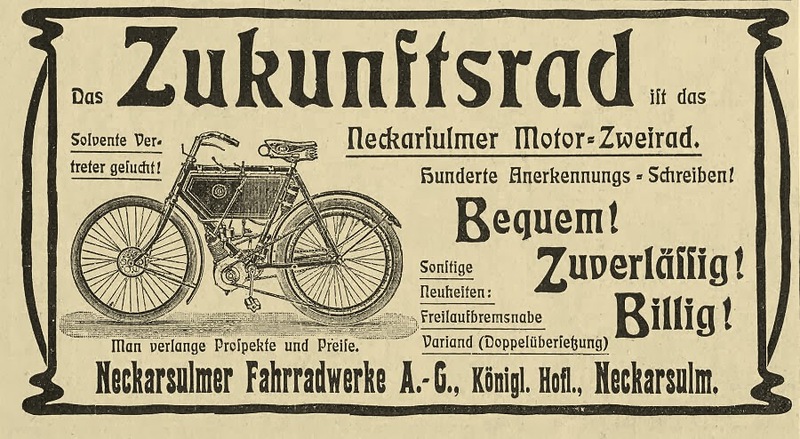 The bicycle subsidiary was renamed as Neckarsulmer Fahrradwerke, and the early machines were branded as the “Germania”. The model proved so popular that by 1892 bicycle manufacture had completely replaced the knitting machine production. In 1901 the company released a motorized version of their standard bicycle which had a 1.5 HP Swiss-built Zedel engine (a copy of the DeDion-Buton) clip-mounted on the downtube. A flat leather belt connected a pulley on the crankshaft to a pulley on the rear wheel, and the machine had a top speed of 48 kph (31 mph). In 1902 a second generation was released which featured an original splash carburetor and magneto ignition system: this new model was available with four engines ranging up to 3.25 hp. But the Zedel engines had several drawbacks, and Banzhaf saw the writing on the wall: the cycle industry had become extremely competitive by the turn of the century, and the ‘boom years’ of the 1890s were over. Cycle manufacturers in both Europe and America were rapidly adding motorized vehicles to their catalogs, and the small aftermarket engines like the Zedel, Minerva and DeDion which simply converted standard pedal bicycles into motor-cycles were rapidly falling out of favor. Consumers were looking for real machines with real power, and 1902 / 1903 were the first years of production for many if not most fledgling motorcycle companies. The first order of business was branding, and the clumsy Neckarsulmer Fahrradwerke logo was soon discarded for the simplified initials of NSU, a nod to the original Naeh- und Strick Union company. By now the company was offering a purpose-built competition motorcycle, the 50mph, 402cc Rennmaschine. The first sales office was opened in London and quickly exceeded all expectations: by 1906 British riders were purchasing almost a quarter of Germany’s total motorcycle exports. 1905 also saw NSU’s first excursions into automobile manufacture, beginning with a model built under license from the Belgian firm Pipe. 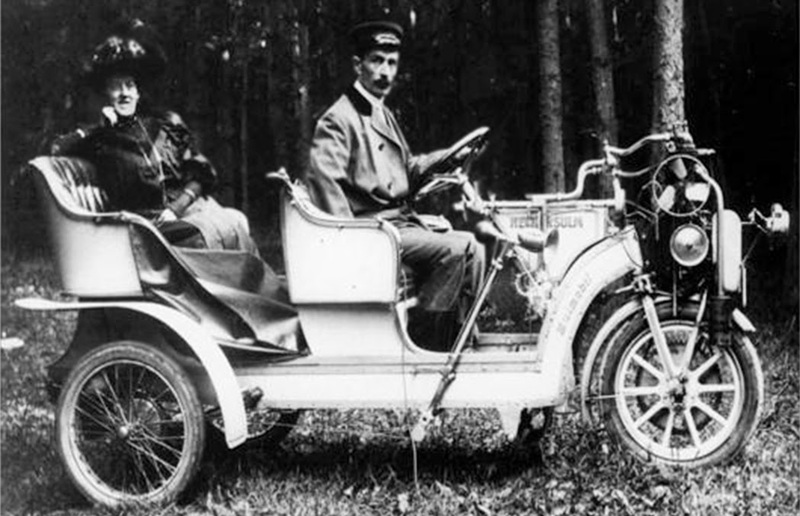 The car had an OHV oblique four-cylinder engine, available in either 28 or 50 hp. It was one of the most powerful models available at the time, and featured a magnetic clutch introduced by the famous Mercedes driver Camille Jenatzy. 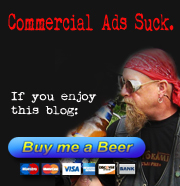 But the high price and fuel consumption gave the vehicle a very limited market. NSU launched two more designs in 1906, this time reproducing smaller Belgian models. These 6/10 and 15/24 PS models were identical in structure but the larger model was equipped with a four-speed transmission and the power was limited to 12 hp at 1650 rev/min with a top end of 65 kph. The first triumph in the world’s most prestigious motor race, the Isle of Man Tourist Trophy, came in 1907 as Martin Geiger, NSU’s manager in London, placed 5th in the single cylinder class on a 3.5 hp. machine. 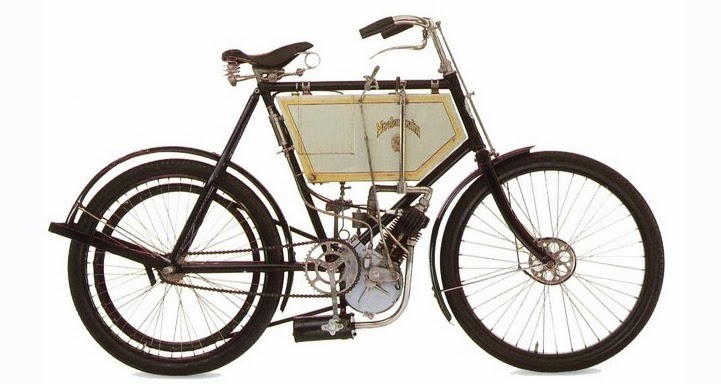 In 1908 the company captured its first speed record, when one of its motorcycles was ridden at 106 km/h on the racetrack in Hanover. In 1910 William Streiff made the headlines by crossing the US continent from San Francisco to New York, a distance of 6,300 km on unmade roads, in 28 days helping to solidify the brand in the USA. K. Gassert won a gold medal in the 1911 Tourist Trophy. NSU began to enter international car races in 1908; the 1909 “Prinz Heinrich Trial” (a precursor to the German Grand Prix) was a great success, repeated in many other long-distance races and reliability trials. 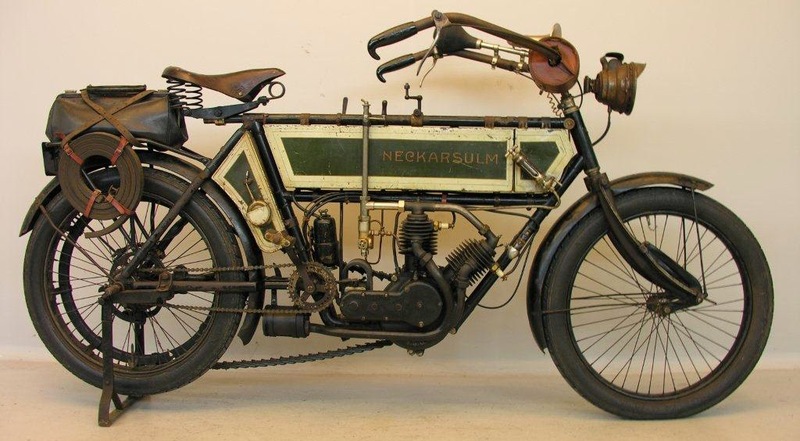 In 1909 NSU also introduced a V twin motorcycle engine that was near 1000cc. In 1914 NSU won the “Moroccan Raid”, a Casablanca-Rabat course cutting through the desert. 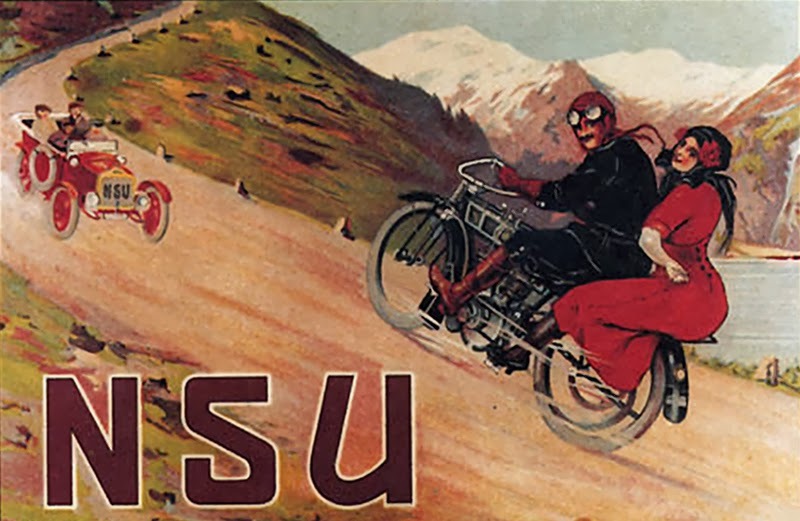 By the outbreak of the First World War NSU was producing a wide variety of vehicles ranging from bicycles to heavy trucks. 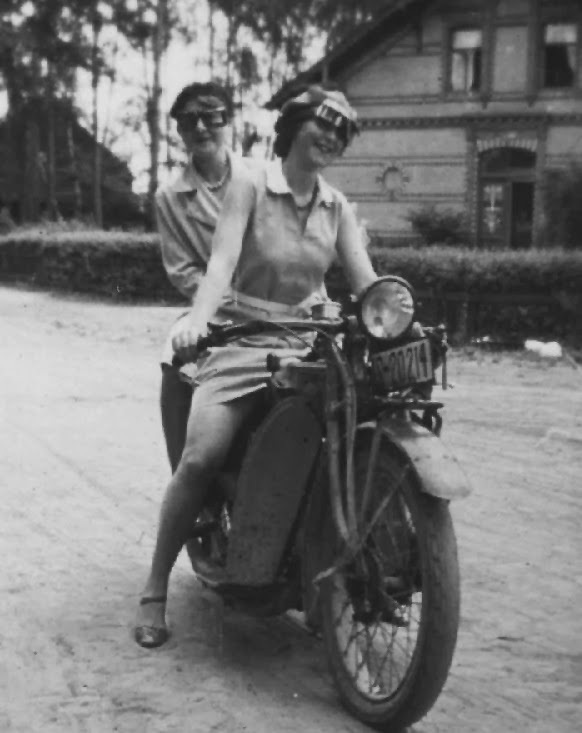 Production was given over to the military during the war and Germany made nearly exclusive use of NSU motorcycles, some of which may also have been supplied to Bulgaria and Turkey. A 54 hp 2.5 tonne truck was developed from the NSU 13/40 hp 4-cylinder car for military purposes; the company calculated the running costs to be 28 pfennig per kilometre for the truck and 65 pfennig for the horse-drawn cart. The vehicle was marketed to civilians immediately after the war and it became a popular means of transport. When the conflict ended in 1918 demand for motorcycles skyrocketed and they responded with a wide range of models. These included the sidevalve and OHC 250’s, sidevalve 500 singles, and V-twins of 500, 750, and 1000cc displacements. In the period between the wars NSU suffered through the great depression like all of their competitors. 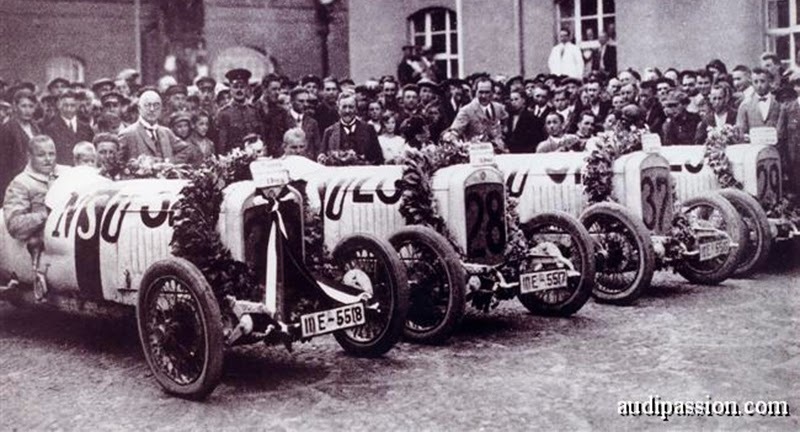 They remained at the top of their game on the racing circuit; the company gained a class victory in the 1923 small-car race on the Avus racetrack, and in 1925 August Momberger drove a new design, the 6/60 PS racing car with supercharged six-cylinder engine, to victory in Germany’s first Sports Car Grand Prix. 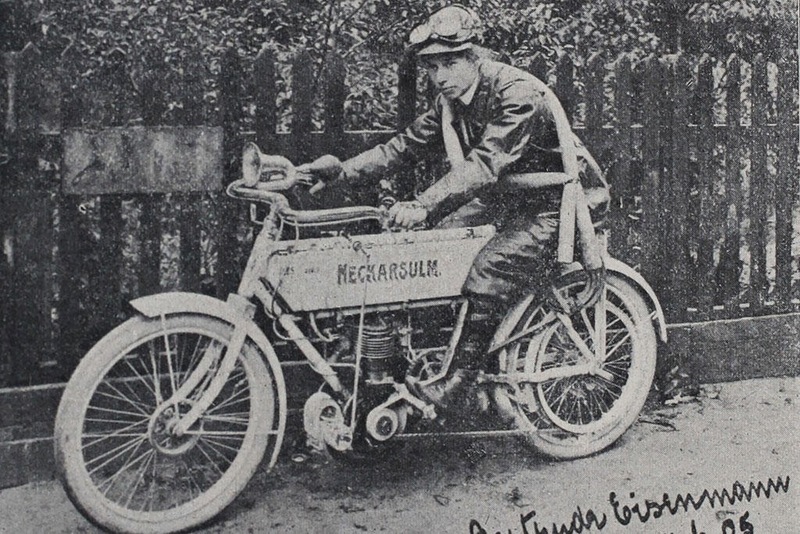 NSU took the first four places in the 1500 cc class of the 1926 event, and was fifth overall. But their automotive branch was facing severe financial difficulties. In 1926 NSU Werke AG had completed a new plant in Heilbronn in order to break into the passenger car market, but the project had failed and by 1929 NSU had no further ambitions in that market. NSU sold the Heilbronn factory to Fiat for one million marks. 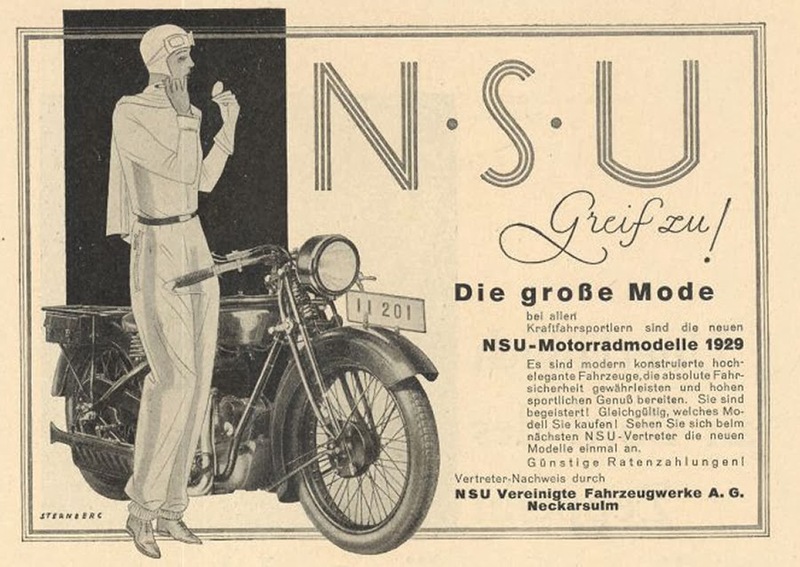 This deal, instigated NSU’s bankers, resulted in two businesses located barely 7 kilometers apart producing vehicles with similar names; “NSU Automobil-AG” the Fiat subsidiary, manufactured Fiat passenger cars with a “NSU-Fiat” badge while NSU Werke AG in nearby Neckarsulm continued their motorcycle and bicycle production. 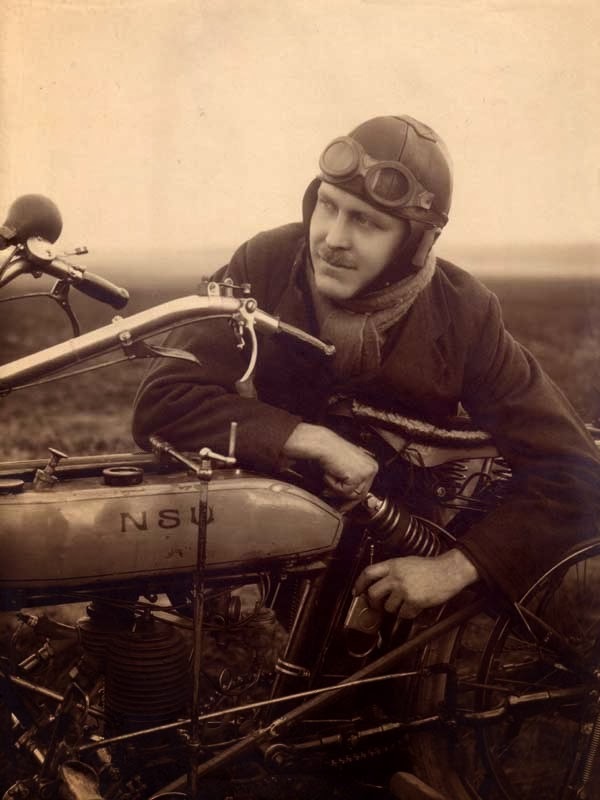 In 1930 NSU hired an Englishman, Sir William Moore, as its new Chief Designer for racing motorcycles at the Neckarsulm factory. He and the English racing motorcyclist Tom Bullus made a successful team, winning every race for which the company entered in 1930 and 1931. Further German and Swiss championship titles were gained between 1935 and 1937. Ferdinand Porsche and Karl Rabe approached NSU with their Volkswagen project around 1933, after rival automaker Zundapp lost interest. The company contributed some prototypes before a new contract between NSU and Fiat halted development of the car, their efforts eventually producing the Type 32. 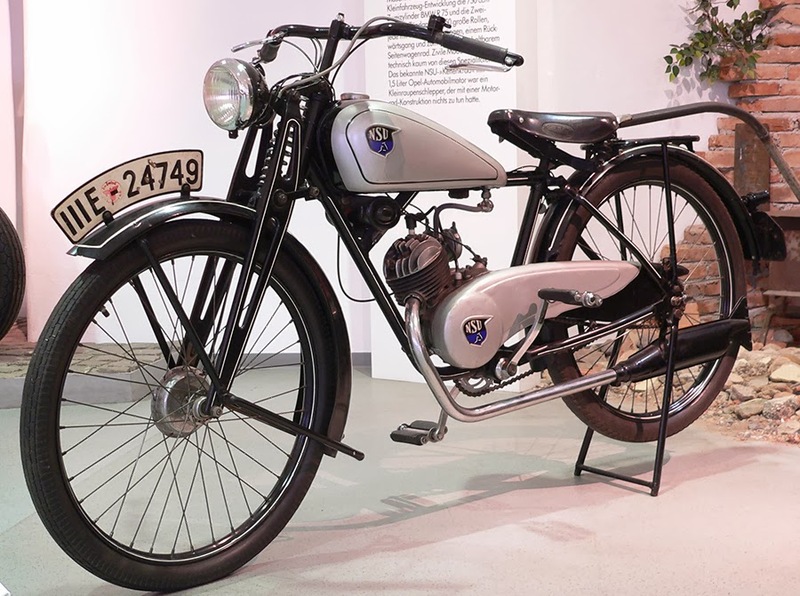 In 1936, NSU’s “Quick“, a 49cc two-stroke, was first introduced: it would later become one of the most popular motorcycles in Europe with over 240,000 produced. The Quick featured a pressed-steel single spar frame with a headset at the front of the unit and wheel attachment points at the end of the arms at the rear of the unit. The unit also incorporated a tower in which the seat post was mounted and attachment points for the motor unit and the petrol tank. Like most of the German industrial complex, NSU was militarized during the war and production was shifted away from civilian models. Along with bicycles, their primary military output was the 251 OS WH motorcycle, modified from the civilian version of the OSL 251. The military design featured a larger saddle and fuel tank; a heat shield was added beneath the fuel tank, the exhaust pipe was modified and a carrier frame was added for carrying side bags. The 251 OSL model was not used with a side car due to insufficient power, but some 34,977 were produced during the war. 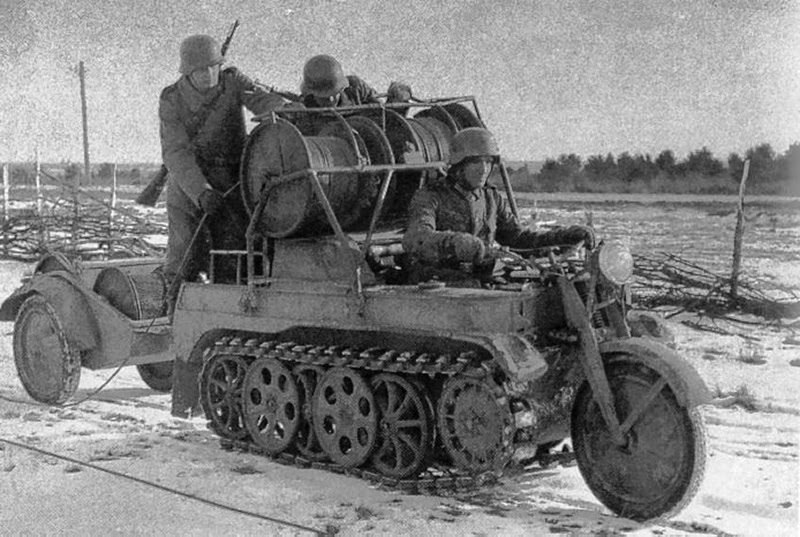 A less notable contribution was the Mittlerer Ladungsträger Springer, Sd.Kfz 304; a small, single-use, armored, track driven demolition vehicle designed to carry a charge of 330 kg high explosives. A driver mounted in the back of the Springer steered the vehicle close to the target, then controlled the final approach and detonation of the charge with a wired remote. Expensive and unreliable, only 50 were produced towards the end of the war. 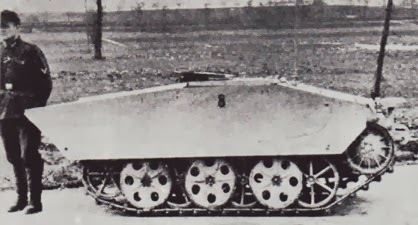 Of course NSU was best known for their unique SdKfz 2, better known as the Kleines Kettenkraftrad HK 101 or Kettenkrad. First designed and patented in June 1939, it saw its first action in the invasion of the Soviet Union in 1941. Some 8,345 were produced during the war with another 550 post war units reported to have been assembled using existing parts. The Kettenkrad was originally designed as a light tractor for airborne troops, with its weight and dimensions calculated specifically to fit 3 in the hold of a Junkers Ju 52 aircraft. 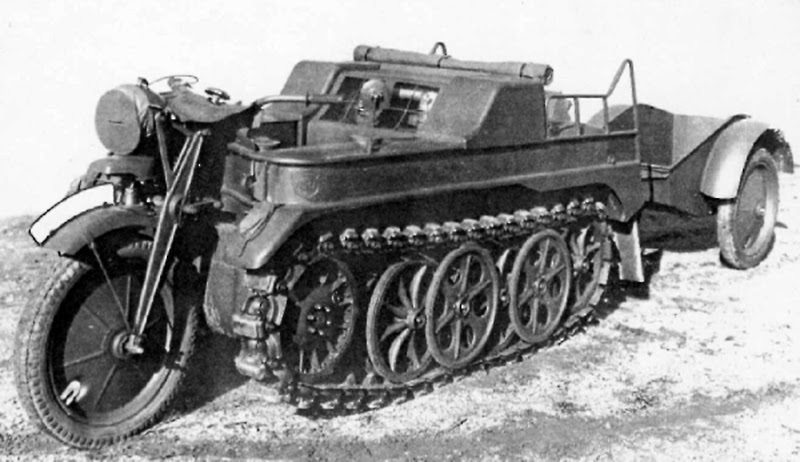 The vehicle was the lightest mass-produced German military vehicle to utilize the complex Schachtellaufwerk wheels which were standard on almost all German military half-track vehicles. The Kettenkrad was steered by the front wheel in gentle curves, but in tighter turns it automatically engaged its tread breaks. For severe off-road use the manual recommended removal of the front wheel, turning the Kettenkrad into a pure tracked tractor. This configuration was effective in deep mud or loose rock where traction was at a premium and speeds were low. The vehicle could climb up to 24° in sand and even more on hard ground, “as long as the driver had the courage for it”. NSU was not equipped to design and manufacture an engine suitable for the Kettenkrad, and it was fitted with the Opel Olympia 1.5 liter 4 cylinder gasoline engine. Because Olympias were already in military use field mechanics were familiar with its maintenance. Most Kettenkrads saw service on the Eastern Front, where they were used to lay communication cables, pull heavy loads and carry soldiers through the deep Russian mud. Later in the war they were used as runway tugs for aircraft, especially for the Me 262 jet fighters. The vehicle was also used in the North African theater and on the Western Front. Later in the war Stoewer from Stettin also produced Kettenkrads under license, accounting for about 10% of the total production. Just a few weeks before the end of the war the NSU plant in Neckarsulm was heavily bombed. What little that remained standing was being used by Allied Forces as a repair shop. For Germany it was a time of new beginnings and in July 1946 a new board was appointed, headed by General Director Walter Egon Niegtsch who had spent 17 years with Opel. 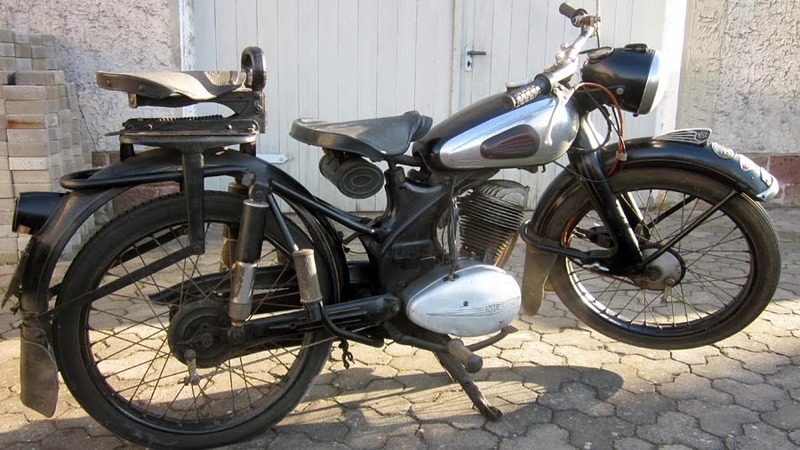 By December the company had resumed some manufacture of bicycles and motorcycles with pre-war designs like the Quick, OSL and Konsul motorbikes; the Kettenkrad continued modest production as civilian tractor. The first post-war model was the NSU Fox in 1949, available in a 2-stroke and a 4-stroke version. In 1953 the Max followed, a 250 cc motorbike with a unique overhead camdrive with connecting rods. If you can picture the driving wheels on a steam locomotive, or the pedal rods in a kiddie car, you can almost get the picture. This system was silent, efficient, trouble-free, and so compact that the top end of the engine can easily be mistaken for a two-stroke. The motor could spin to then-astronomical revolutions that destroyed chains and formerly could only be achieved by towershaft drives. In 1950, a towershaft DOHC 4-cylinder 500 was designed for the GP circuit, but it was decided to campaign 125 and 250cc machines based on single- and two-cylinder slices of the 500. These smaller machines, the Rennfox and Rennmax were world-beaters, repeatedly winning world championships until NSU officially withdrew from racing in 1954. The racing department fiddled with a Max engine until it produced nearly the same power as the DOHC twin: 30 hp at over 9000 rpm. In spite of having officially withdrawn from racing, the engine was installed in a Max streetbike frame, fitted with aluminum bodywork and a dustbin fairing, and given to Herman-Peter Mueller, the 1954 250cc World Champion. Named the Sportmax, the bike was ridden by Mueller to another World Championship in 1955, making it the only streetbike-based motorcycle to ever win a world GP title. NSU released the Spezial in 1954, distinguishable by its larger 14 liter fuel tank and alloy drum brakes. Further development would result in high performance versions taking to the track, regularly winning at the highest level and the Supermax, featuring twin shock rear suspension. The Max series was to become one of the most successful designs of the period and would influence many of the emerging manufacturers around the world, most notably Honda. The new models distinctive pressed steel frame, leading link forks and pivoted fork suspension were both effective and economical to produce, whilst the single cylinder four stroke engine offered a high level of performance for its capacity combined with exceptional reliability. 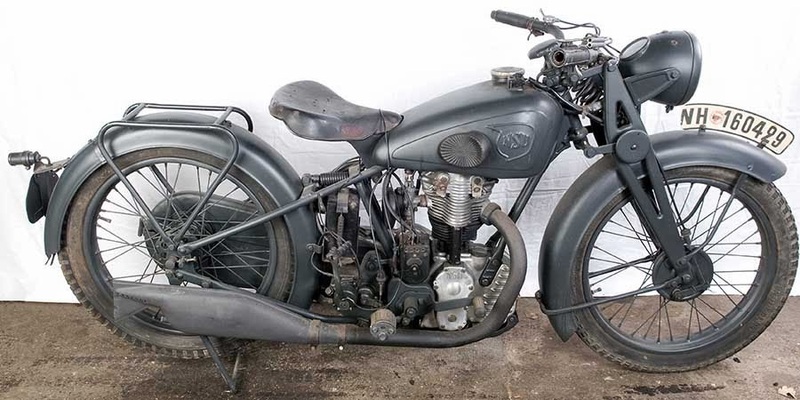 New success by NSU Werke AG in motorcycle racing in the decade after 1945 combined with soaring sales figures greatly enhanced the appeal (and value) of the NSU name, especially in Germany. 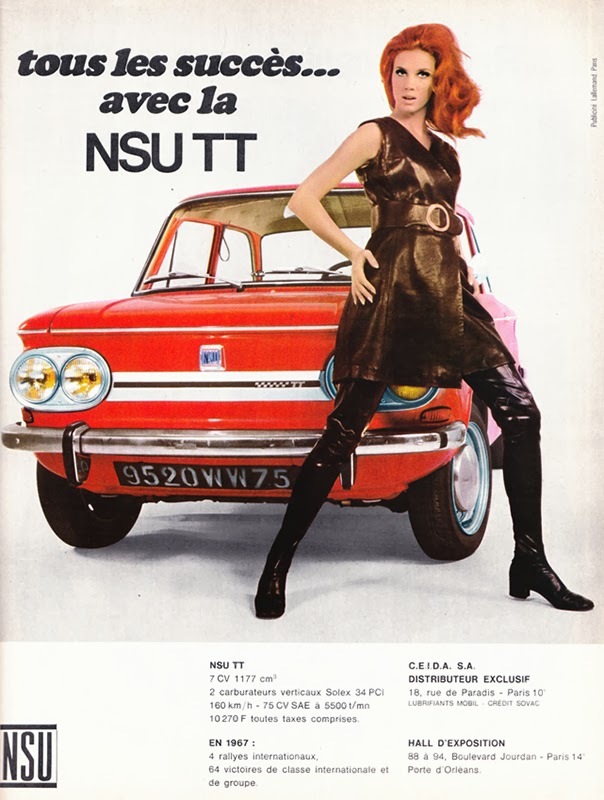 With their brand more frequently in the public eye, confusion between “NSU-Fiat” and “NSU Werke” was becoming a serious problem in both marketing and commercial relationships. The 1950s found NSU’s General Director, Dr. von Heydekamp, complaining that their customers were being deceived (“…a grobe Kundentäuschung”) by Fiat Germany who were still using the NSU-Fiat name to exploit the racing successes and speed records of NSU motorcycles. When NSU Werke announced they were planning to produce a passenger car in the “approximately 400cc” class in 1955, they proposed to badge the little car simply as an “NSU”. This seemed likely to create even more confusion in the market, directly affecting Fiat’s small “NSU-Fiat” models which were based on the Fiat 600 already under production in Turin and scheduled for imminent launch. The Heilbronn built Fiat 600 was duly launched in 1956, but because of the dispute it was badged not as an NSU-Fiat but as the “Jagst” (shortly thereafter lengthened to “Neckar-Jagst”). The new Fiat 1100, introduced in 1956, was advertised as the “Neckar”. The NSU offering which appeared on the market in 1958 as the NSU Prinz, powered by a “double” Max motor at 598cc and 20 hp., would indeed compete in the same market segment as the baby Fiats. After “robust” exchanges of lawyers’ letters, legal hearings over the name game with Fiat finally hit the courts. The arguments centered on what had been originally agreed upon regarding rights to the “NSU” name and whether an informal letter dated 5th January 1929 on the subject had long-standing contractual force. When the judge decided that that the 1929 letter could not bind the parties over use of the “NSU” name, Fiat felt obliged to rebrand all its Heilbronn assembled cars: NSU-Fiat badged cars became Neckars in 1957. 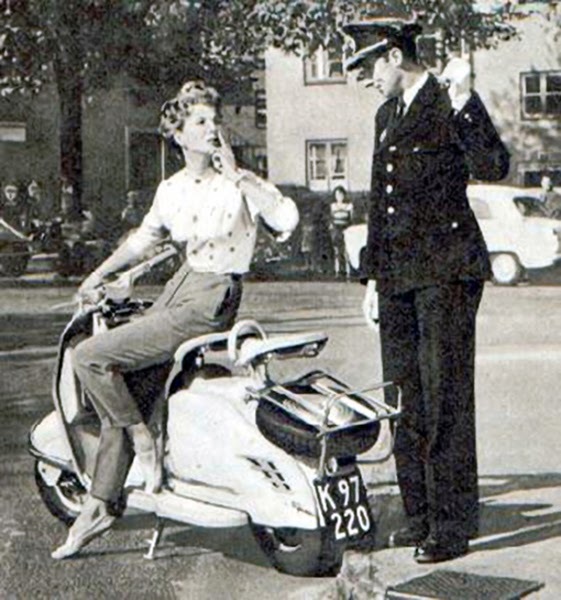 During the 1950s NSU also produced vast quantities of 50 and 100cc Quicks and Quicklys, as well as Lambretta scooters under license. 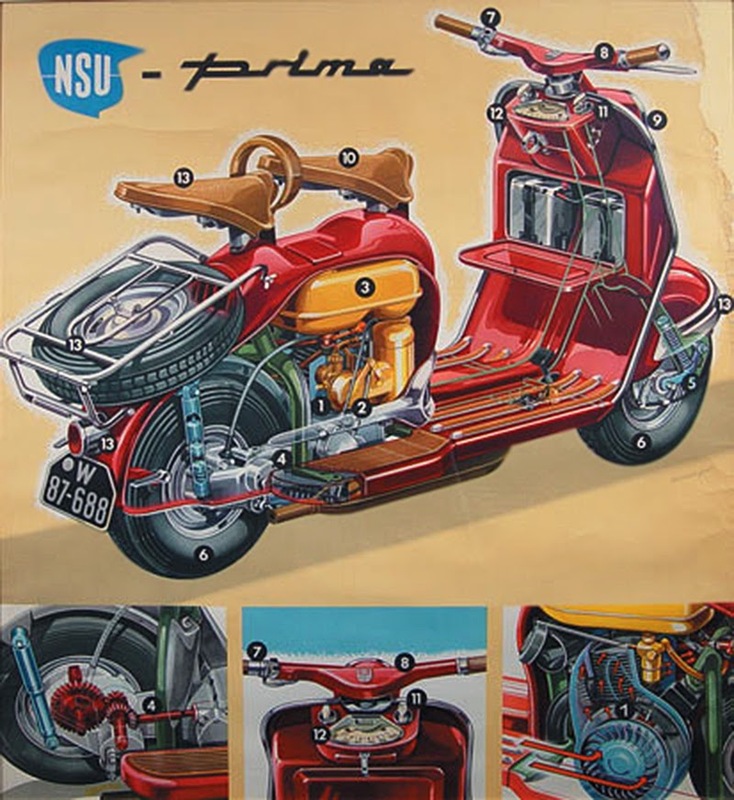 Based on the 125cc engine unit, early examples were direct copies of Innocenti designs, but soon NSU began to modify the scooters with there own “extras”. The first model to receive this treatment was the Luxury Lambretta, which got dressed up with two tone paint, polished bits of aluminum on the rear side panels, a front bumper bar, and a parking light that could be switched on directly from the dashboard. The company carried out customer studies, and tried to convince a hesitant public that the newly introduced scooter models were not just for “rich daughters” or “white collar workers”. 1954 saw a new 150cc engine and improved hp of 6.2ps across the range. The new engine could manage inclines up to 31.5% in first gear, which incidentally allowed it to manage most of the passes in the Alps. When the Lambretta license expired in 1955 NSU simply created their own version, the 147cc Prima D which hit the market in 1956. Soon it was joined by the 150cc Prima III and the 175cc Prima V (Fünfstern). 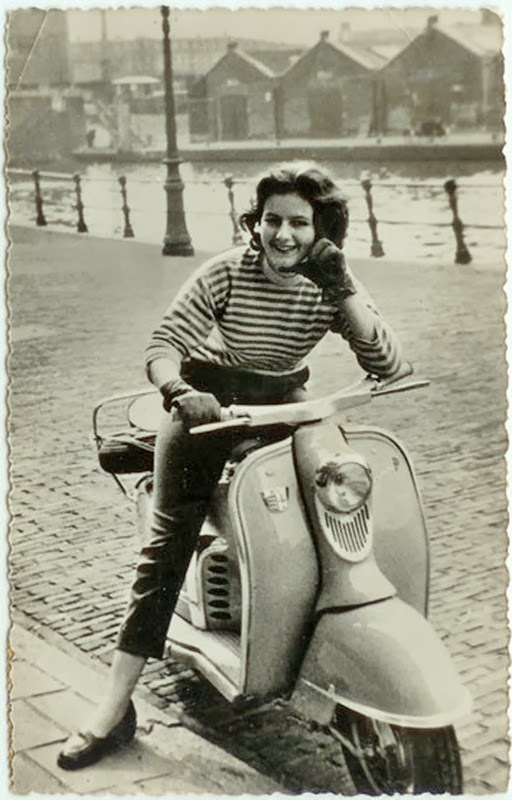 NSU even had a 4 stroke, Max based scooter, the Maxima, almost ready for production in the early 60´s, but as the scooter sales dropped the project was scrapped. In 1959 the Bertone designed Sport Prinz was introduced. The first 2,400 cars were actually assembled in Torino in Italy; the engine was increased to 30 hp, and also used in the Prinz III. At this time NSU was working with Dr. Felix Wankel on his new engine design. The Wankel engine differed from a piston engine in the oval design of the combustion chamber, which contained an eccentric rotor that turned in the chamber an Epitrochoid shaped trajectory, enabling the combustion pressure to be converted directly into a rotary motion. There was no need to lose energy converting reciprocating movement into rotational movement. The result was a remarkably compact free-revving engine which was hailed by some as the next major step forward in automobile design. 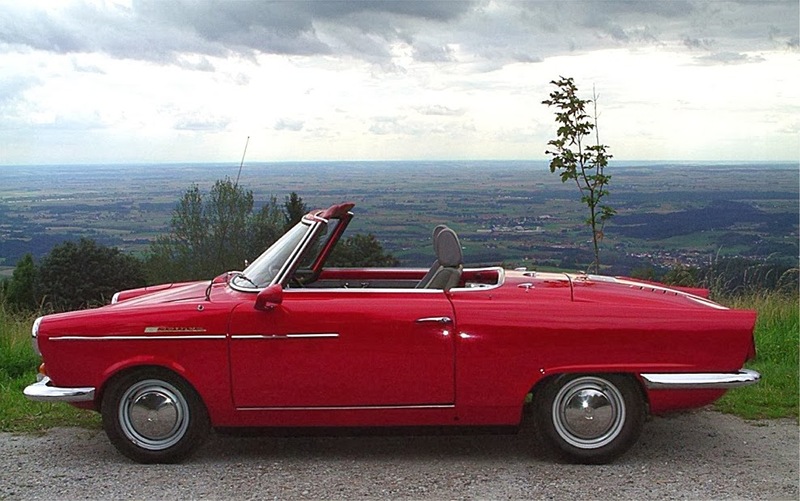 NSU built the first Wankel engine to be tested in a car in 1960, and in September of 1963 the Wankel Spider was presented at the Frankfurt Auto Fair. The car was well received and some 2,400 were built up to 1967. But the Spider was a source of many problems; the single rotor engine was simply not a completely finished design, and testeing had been insufficient. Besides this, the owners were reportedly “pretty hard on the throttle.” Engineering development continued after the Spider ceased production. The same year, 1963, the “mini- Corvair” Prinz4 was introduced. It shared the small Prinze’s standard engine design, at 600cc/30 hp. The P4 was the most popular car of all the NSU’s, and at one point it was the best selling import car in Italy. It remained in production until 1973. Bicycle production was still in full operation, parallel to everything else. But “real” motorcycle production had been doomed by the success of the Prinz, combined with the new onslaught of cheaper Asian machines. Many European manufacturers had already disappeared from the shrinking market, and NSU decided to make best use of the remaining motorcycle program. 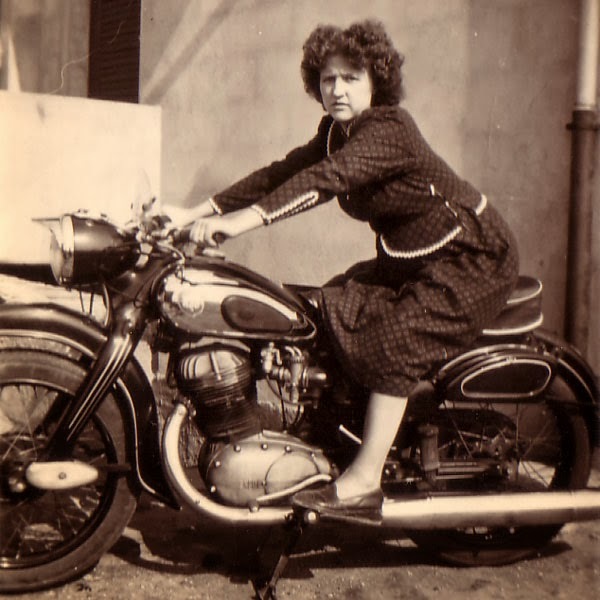 In 1963 an agreement with the Yugoslavian company Pretis was concluded; production license and tools for the last Maxi motorcycles and Prima scooters went to Sarajevo, and the long motorcycle history in Neckarsulm which had started in 1901 came to an end. 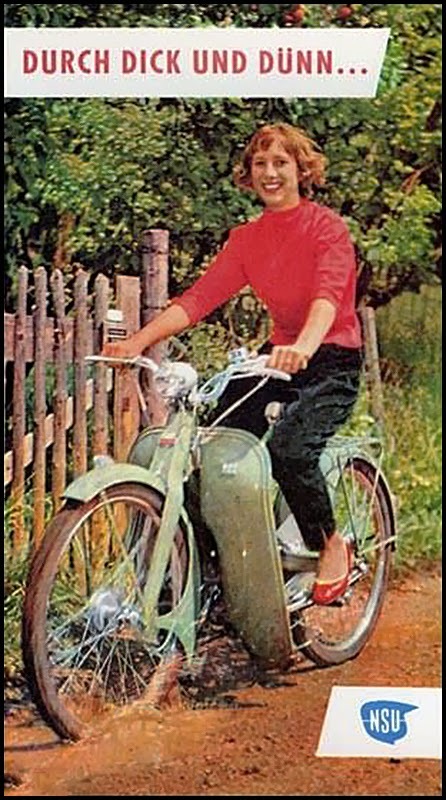 Prinz1000 came in 1964. As the model designation suggests it was equipped with a 1 liter (996cc), fan cooled, straight 4cyl. OHC, 45 hp motor. Weighing only 700 kgs. it was a fast, well-handling car that became popular for racing. Some sportier versions included the TT in 1965, with 1085cc/65 hp (which later developed into 1200TT with 1177cc) and the TTS, which was only produced in 2,400 units sold almost exclusively as racing cars. It carried a 997cc engine and with two Solex 40’s it delivered 70hp. The very last scooters left the brand in 1964, and the motorcycle era was terminated in 1965 with Quick50. 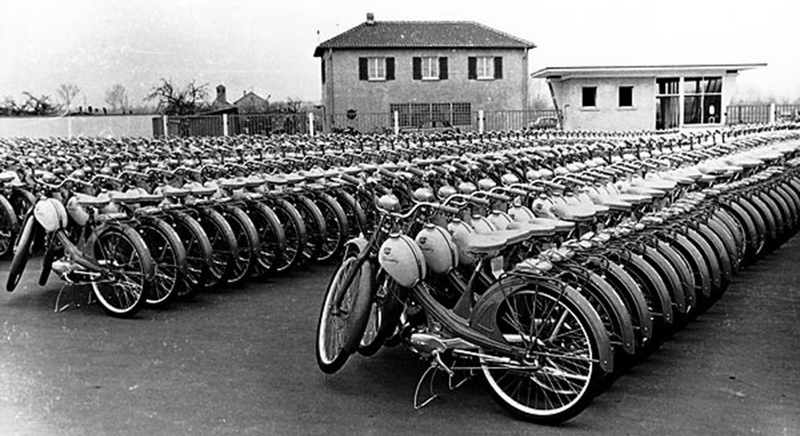 Not even the bicycles were genuinely NSU anymore, as they were now license made by Heinemann. 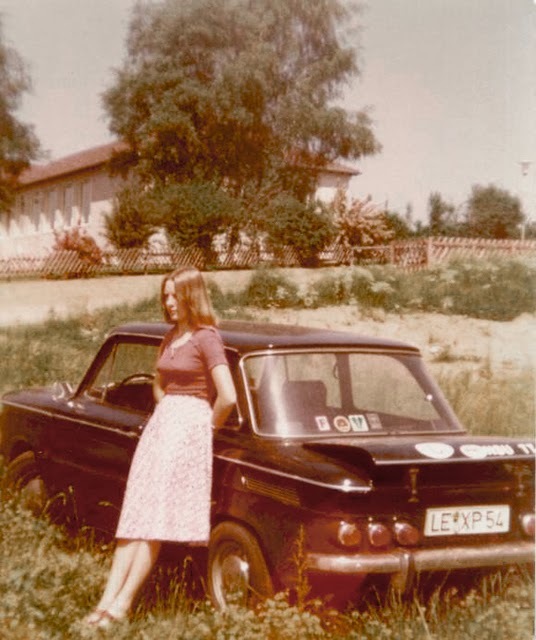 The long nosed Type110 (1085cc) saw the streets in 1966; it was the limousine of the NSU family. Shortly after came 110SC which was the first car to have the 1200 engine (1177cc) and 60hp. 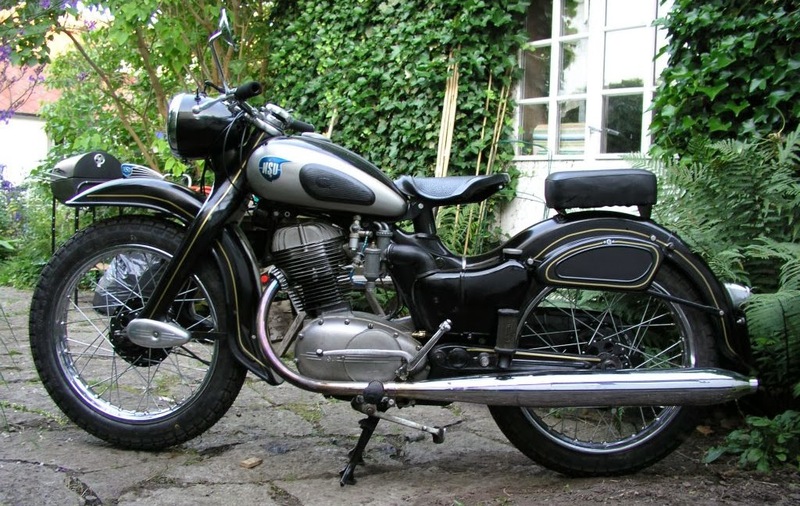 In 1967 the follower logically was designated 1200, also 1177cc, but reduced to 55hp. NSU 1200 together with Prinz4 and 1000 continued until 1973. 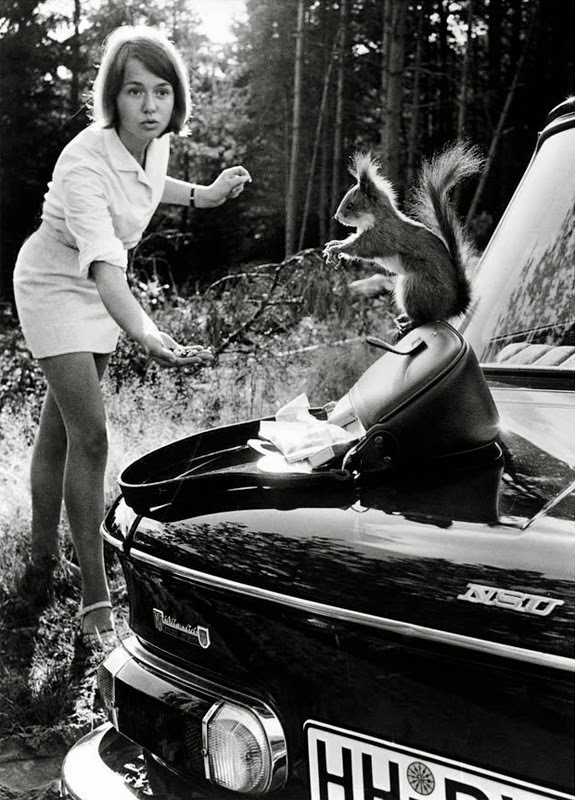 The NSU Ro80 was uncovered in Frankfurt in the autumn of 1967, a revolutionary car in a new size bracket for NSU. The redesigned two-rotor Wankel motor with a displacement of nearly one liter gave 115 hp. This was a modern, streamlined car with a design that almost stands up today. Unfortunately the engines still suffered from design flaws, and that cost NSU both effort and money. They were also working on the model K70, another modern family car sized just below the Ro80 and with only the second water-cooled engine in company history. But placed under intense pressure from one of their main stock holders, a large German bank, NSU was sold to VW/Audi in 1969. The Wankel cars had, simply put, cost NSU too much. Only 23 prototypes of the K70 were made under the name NSU; at the 1969 Frankfurt fair in 1969 the emblems were already changed to VW. It was produced as the VW K70 until 1975. Much of the R&D work on the Wankel motor was still done at NSU in Neckarsulm. Ro80 was produced until 1977, with a total of about 33,000 vehicles coming off the line. Unfortunately without implementing any of the things they discovered during the development process. VW/Audi quickly chose to kill the Wankel project. NSU’s technicians and engineers were absorbed by Volkswagen/Audi. Some of them continued working on the new Golf (in the US: Rabbit), Passat and others. The first to hit the streets was the Audi 50, that more or less took over from the small NSU’s in 1973. The Passat was also claimed to have been on the NSU drawing tables since 1969. NSU Werke’s 100 year anniversary in 1973 was not a happy one. By 1984 the name NSU was discontinued within the VW/Audi concern. Although NSU no longer produces cars, they still manufacture a fair number of small Wankel engines for utility applications. Today, the former NSU motorcycle factory in Neckarsulm is now a museum housing one of the finest collections of motorcycles on the planet.